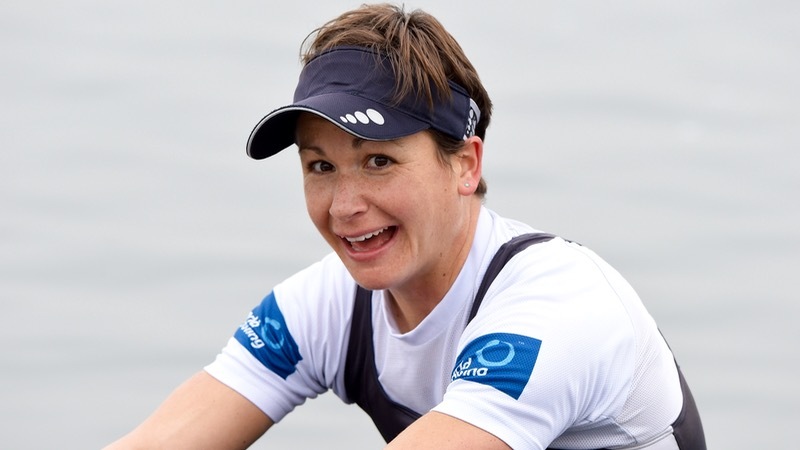 There was a ninth win for Alan Campbell, a fourth in a row for Moe Sbihi and hat-tricks for Helen Glover, Heather Stanning, Alex Gregory and Vicky Thornley as the GB Rowing Team Olympic-season Trials concluded in style. Lightweights Charlotte Taylor, Will Fletcher, Sam Scrimgeour and Jono Clegg all recorded maiden victories at the event with impressive performances in Wednesday’s finals at Caversham. The races were packed with quality and depth, giving selectors plenty to ponder ahead of the European Championships team announcement in April – and, of course, this summer’s Olympics in Brazil. 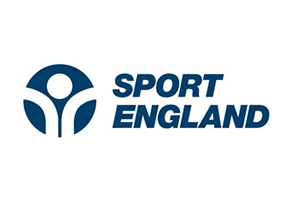 GB Rowing Team Performance Director Sir David Tanner said: “We’ve had an exceptional set of Trials which is suitable for an Olympic year. “We’ve had some great racing and it was good to see the standard of our Olympians stepping up with some top-level performances. See below for full race reports, quotes and results. 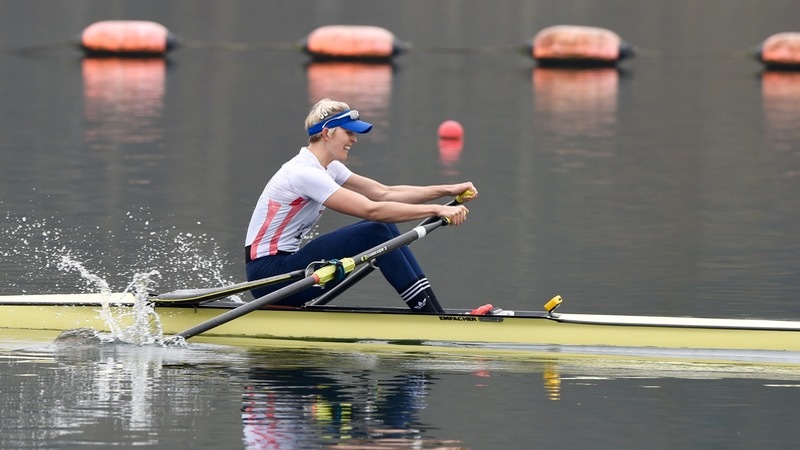 Vicky Thornley led out the women’s single scull final and produced a dominant performance, pushing herself and the clock to the end to claim a third successive GB Trials win in 7:34.14. Behind her, Holly Nixon was again in consistent and rhythmical form to take second. The main tussle turned out to be between Mathilda Hodgkins-Byrne and Tina Stiller as to who would make the top three. Hodgkins-Byrne had the advantage all the way through 1500m but, with 350m to go, Stiller put in a push and then a sprint to take third in 7:43.75. “I don’t how much it was at the end but I was confident I could win the race,” said Thornley. “I wanted to put down a competitive time. It felt like a nice scull, felt consistent through the middle and I was quite pleased with it. “It’s really important to prove to the coaches and yourself at these Trials that you have moved on and you are in a good place. I really wanted to stamp my authority on today and I felt I did that. Lucinda Gooderham won the B final. 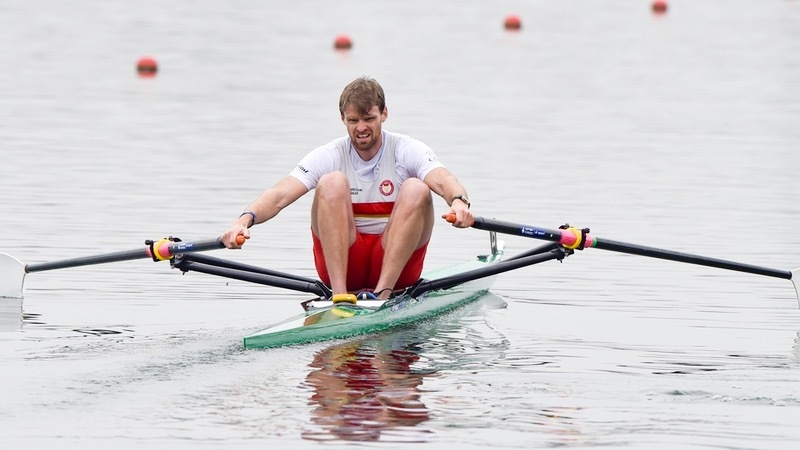 The men’s single scull final promised to be a cracker and so it proved as Alan Campbell claimed his ninth Trials win and his first since 2012, the year he won Olympic bronze. Campbell laid out his intentions from the outset, starting quickest and building a lead which he maintained throughout. “I’m very happy with that,” Campbell said. “This is now my ninth win, dating back to my first Trials in 2003, and I’m hugely relieved. 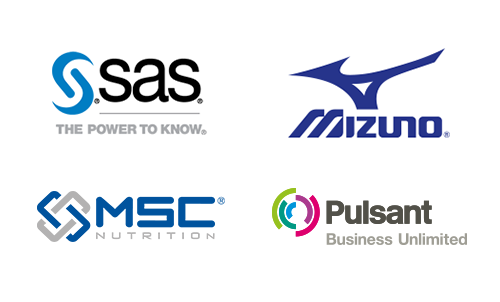 It’s a hard, tough race, probably the hardest of the year, and it feels like a collective weight has been lifted. Graeme Thomas was the early challenger to emerge from the five-boat chase behind. He and Angus Groom battled bow ball to bow ball through the second half of the race but Thomas had the pace at the end to take second. John Collins produced a strong, consistent row to hold fourth ahead of Jonny Walton and Sam Townsend. 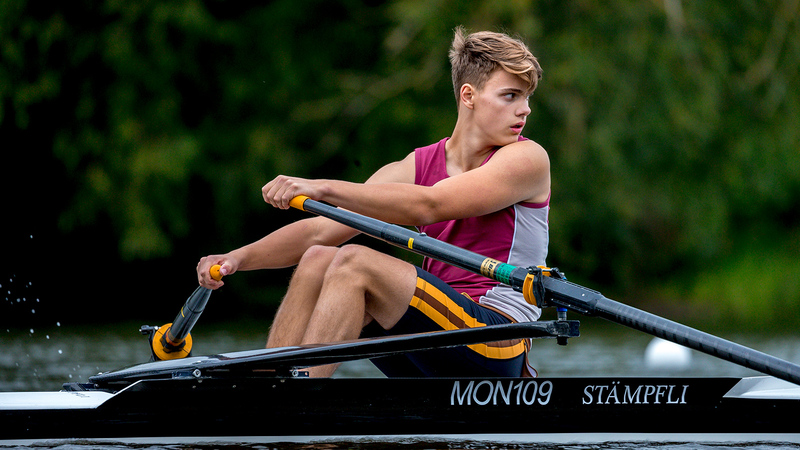 Peter Lambert, part of the men’s quad for the past three seasons, put in a strong performance to win the B final. “I wanted to show the selectors a bit more dominance in the B final, which I felt I did pretty well,” he said. Ellie Piggott sprung an early surprise in the lightweight women’s single final by heading out the field for the first 400m before the more established order resumed. Charlotte Taylor moved into a temporary lead but Kat Copeland came through just after 650m to nose ahead. She stretched the gap to almost two-thirds of a length but Taylor had reserved some fuel and drew on that in the finishing 250m to win by three feet. Imogen Walsh was third. 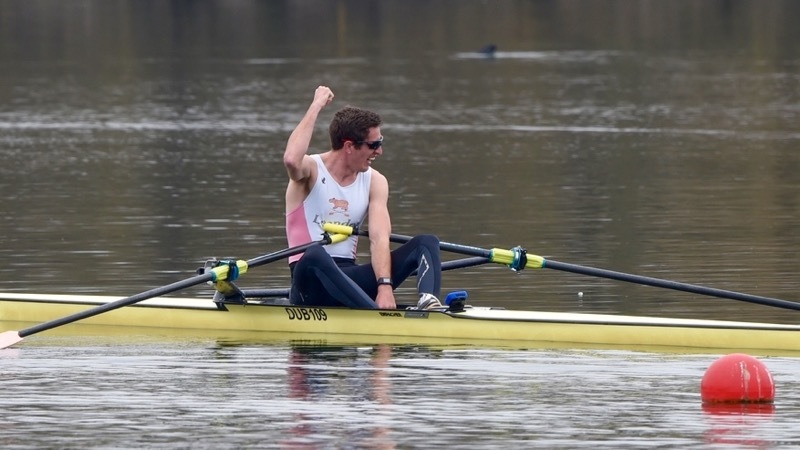 Will Fletcher followed up his first-ever Trials win at the December Assessment with a confident victory in the lightweight men’s single. Jamie Kirkwood, looking for a third-successive GB Trials win, put in a strong finish but Fletcher was able to hold off the charge to take first place in 7:13.16. Sam Mottram was third. The lightweight men’s pair final was closely contested all the way down the course but in the last quarter, Sam Scrimgeour and Jonno Clegg kept their length and cool to overhaul Joel Cassells and Peter Chambers. At the finish, the Imperial College and Leander pair had just under a length on the early race leaders. Chambers and Cassells had registered their intent early on with a blistering first quarter that gave them a second’s lead over Scrimgeour and Clegg. By the 1000m mark, the Oxford Brookes oarsmen were flying and had edged out to over a length’s lead. Chris Bartley and Mark Aldred were not far off the pace in third place. 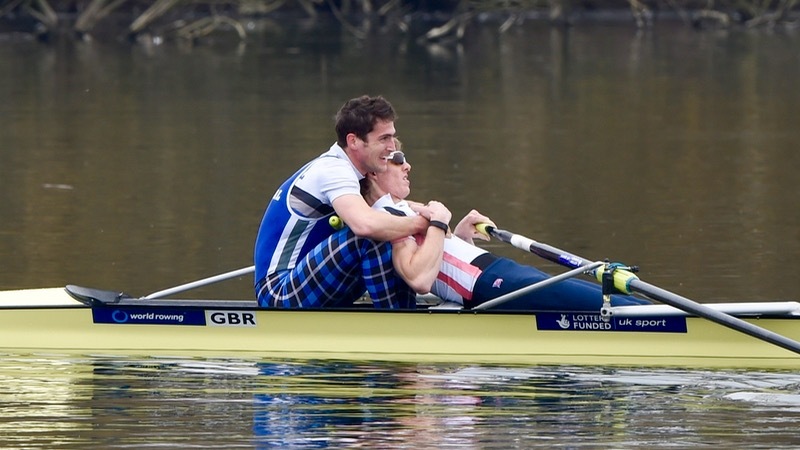 As the third quarter unfolded, Scrimgeour and Clegg began to reel in the high rating pair from Brookes. With 500m to go, the distance was now just half a length between the crews. Clegg began his charge for the line early. With 350m to go, the pairs were level and Clegg began to draw away. Attention now focused on whether the fading Brookes pair could hold off Bartley and Aldred. Fortunately, Chambers had just enough in the tank. Clegg and Scrimgeour won in a time of 6:46.02, just under a length in front of Cassells and Chambers. Bartley and Aldred were third. 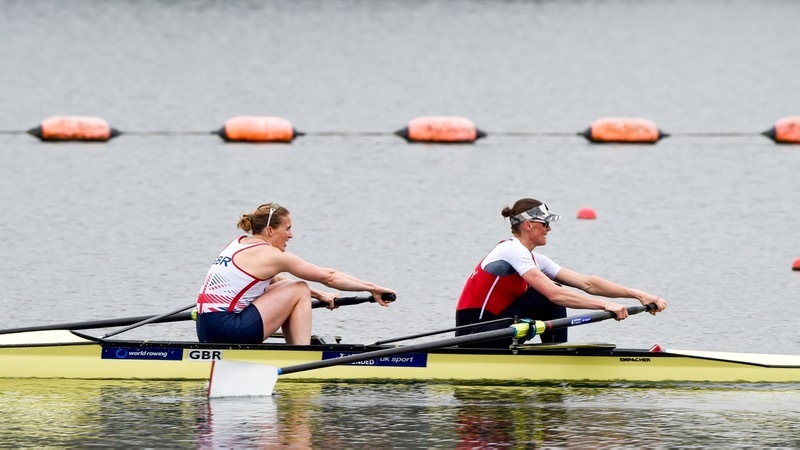 Helen Glover and Heather Stanning showed sensational pace to dominate the final of the women’s pairs. The reigning Olympic, World and European Champions posted their clear intent to win a second gold in Rio. At the finish, their margin of victory over Jess Eddie and Polly Swann was over ten seconds. The strong pre-race favourites led from the first stroke. At the first 500m marker, they had already established a lead of over four seconds. At that stage, Ro Bradbury and Louisa Reeve led a pack of chasing pairs. Over the second 500m, Glover and Stanning again registered the quickest time, pulling out another four seconds on the Leander pair. 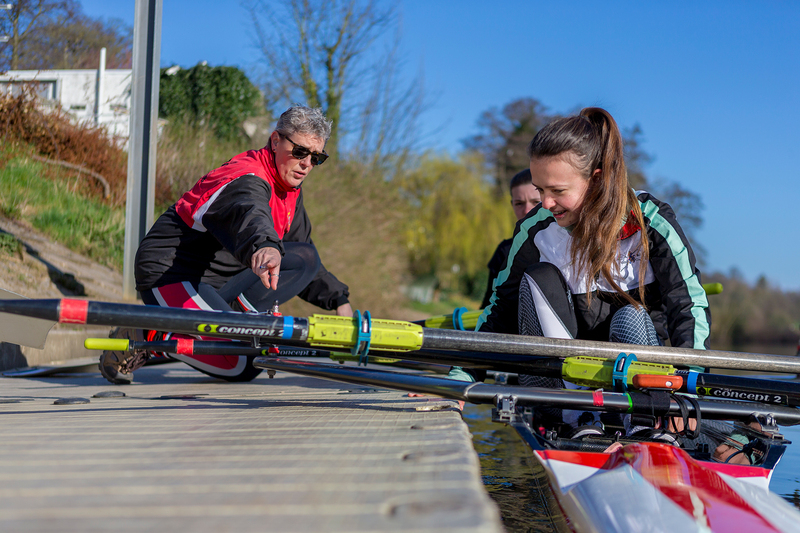 With the race all but in the bag, interest then centred on the fight for second place and in the third 500m, Jess Eddie and Polly Swann began to recover from their poor start. The London RC and Leander pair were third with 500m to go. In the last quarter, they moved up into second place. But there was no doubting the quality of Stanning and Glover’s winning performance. They crossed the line in a time of 7:13.4. Frances Houghton and Olivia Carnegie Brown rowed the fastest last 500m to take third place. The B final was won by Fiona Gammond and Holly Norton. The quality of the field in the men’s pairs final was outstanding. It was reflected in a closely fought race won by Alex Gregory and Moe Sbihi. 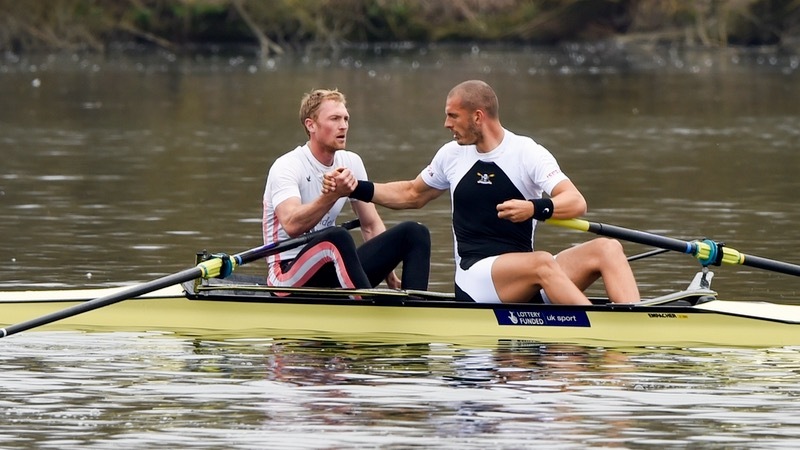 But though the Leander and Molesey pair had led from the first few strokes they came under real pressure in the last quarter from Constantine Louloudis and Pete Reed. At the line, the margin was less than a second. Gregory and Sbihi showed genuine pace in the first quarter to lead a closely packed field by a length. And the Molesey and Leander pair continued to move away in the second quarter. Their lead at the halfway point was over three seconds. Early in the contest, the Leander pair of Alan Sinclair and Stewart Innes had been in second place. But by the 1000m, George Nash and Will Satch had taken over as challengers to Gregory and Sbihi. The contest began to close up in the third quarter as Reed and Louloudis began to charge. Coming up to the final 500m the chasing pairs were bowball to bowball. The intensity of that contest was beginning to bring Gregory and Sbihi back to the field. 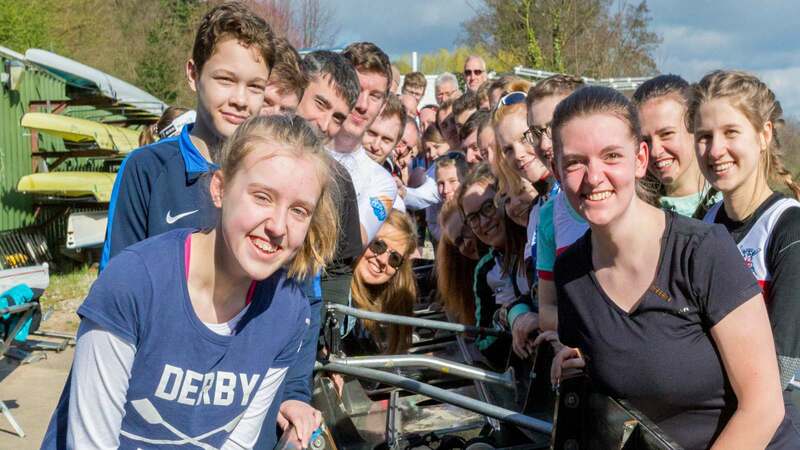 As the finish line approached, the bow of the Leander and Oxford University pair begun to creep ever closer. But Gregory and Sbihi knew that if they kept a cool head they would cross the line first. At the finish they were just half a length in front in a time of 6:31.24. Nash and Satch were a close third. Sbihi, who has now won the last four GB Trials, said: “I’m very relieved, it’s a stressful couple of weeks leading into Trials so it’s nice to come away with a win. “We had a great training camp, so we knew we were coming into the Trials in good shape, but everybody has been pushing us and I’m just happy to win for a third year in a row with Alex. 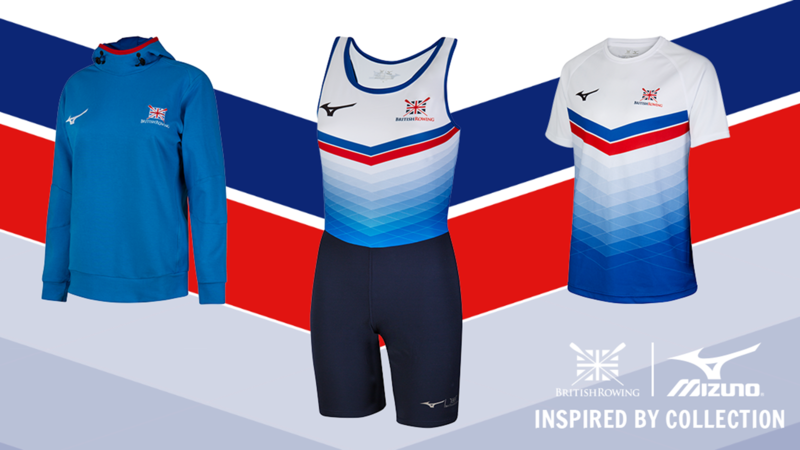 The strength in depth in the men’s squad was demonstrated in the B final, where the experienced pair of Matt Langridge and Andrew T Hodge finished runners-up to World coxed pair champions Nathaniel Reilly-O’Donnell and Matt Tarrant. (As at Monday 21 March) Pairs listed from bow to stroke. Melissa Wilson (Cambridge Univ BC/Edinburgh/10.06.93) MED – withdrawn.